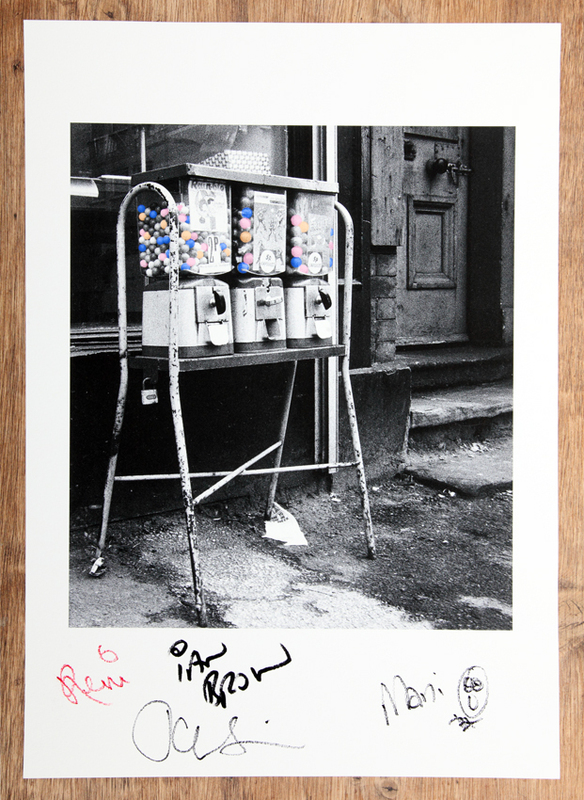 MATT SQUIRE (John's brother) is selling a limited edition of Sally Cinnamon prints for the first time - all hand signed by each member of the Roses. Click here to view the listing. 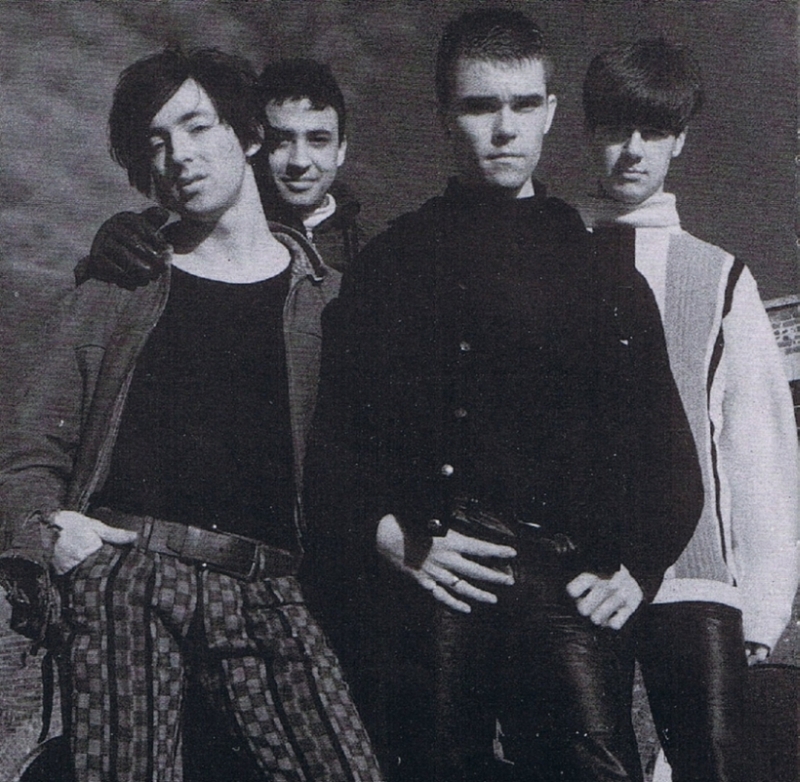 This cover photograph of the band's second single was taken by Matt, outside a newsagent on Grosvenor Street (off Oxford Road), Manchester, in early 1987. Matt is releasing a series of one hundred 11.7 x 16.5 inch Giclée prints from the original negative. The photographs are printed on 310g.s.m. heavyweight Hahnemuhle German Etching, a beautiful archival quality paper, using the Giclée process with Epson UltraChrome K3 Inks for maximum stability. Each print has been individually hand signed by Ian, John, Mani & Reni, and will also be signed and numbered by Matt himself. The paper size is approximately 11.7" x 16.5" (297mm x 420mm approx) and the image itself is approximately 246mm x 281mm. The print will be delivered rolled in a heavy duty cardboard tube in order to avoid damage by bending. Here, Matt gives a little background on this Sally Cinnamon photograph. To visit Matt's website, click here. Sally Cinnamon print, featuring the signatures of all four Roses. Click here to buy this print. "The Sally Cinnamon cover shot was taken outside a newsagent on Grosvenor Street just off Oxford Road in Manchester in early 1987. It wasn't a commission for the cover, I was just wandering taking odd shots of this and that. I printed a few pictures up, John saw that one and asked if he could use it for the next single. In retrospect he'd probably have preferred to have had an unbroken series of covers featuring his own artwork - no doubt it was all a bit rushed at the time and that picture was a quick fix for the release. The back cover has a few shots I took off a big screen projection of the band rehearsing at Manchester's International 2, Reni outside Pete's flat on the roof of the Arndale and I think that's one of my Dad's photographs of a steam train's wheels." Matt also photographed the band on other occasions, including this 1987 photoshoot at the old White City Dog Track in Old Trafford, Manchester. 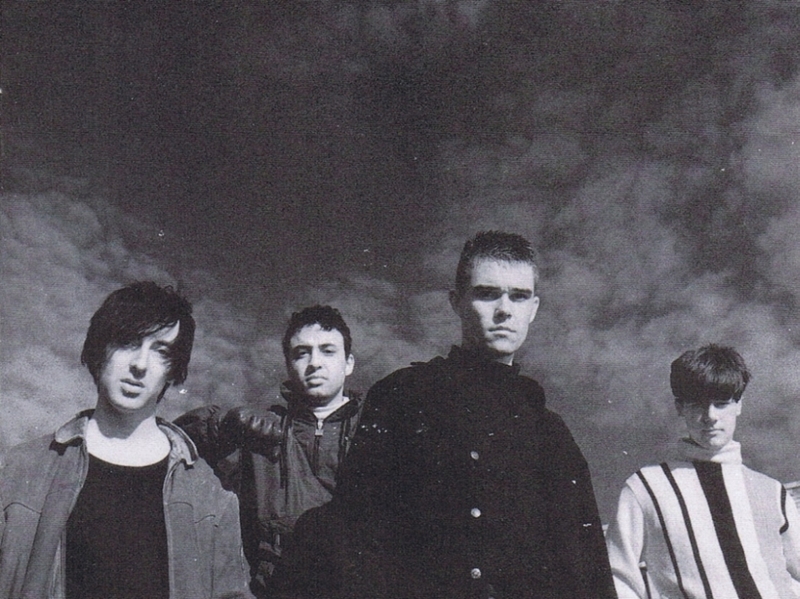 "I also photographed the band at the old White City Dog Track in Old Trafford. About 1987 I think. I went and lived in America for 18 months not long after. I photographed them once or twice before that when Andy Couzens was still in the line-up but I've lost those negatives. Still got the White City negs somewhere."